I wrote a short piece on the occasion of the MediaStorm 10 year anniversary. I am thrilled to announce that Japan's Disposable Workers, a project I produced and edited for MediaStorm in collaboration with Shiho Fukada and The Pulitzer Center on Crisis Reporting, was nominated for an Emmy. This is a project that's been close to my heart for nearly a decade and now you can watch it here. In this new installment of H-Town Stories commissioned by Neighborhood Centers Inc., MediaStorm takes an intimate look at two lives that have been transformed by the power of work. Neighborhood Centers provides services to 400,000 Texans every year and MediaStorm hoped to create intimate portraits of just a few of these men and women who benefit from such assistance. Fred, a pilot and Vietnam veteran, spent decades taking care of his ailing wife. As a cargo pilot, he split his time between the stress of flying and the stress of watching his partner slowly die. With his savings finally gone and the passing of his wife, he decided at 60 to start his professional life again. Teresa was born in Mexico. She and her ex-husband traveled to Houston as undocumented workers. Despite the stress of her new life, and even an attack on her life, Theresa has managed to not only survive, she has thrived, starting a new business to support her two daughters and one on the way. Japan’s Disposable Workers [is] produced in collaboration the Pulitzer Center on Crisis Reporting. Based on Shiho Fukada’s portrait series, the film explores the labor issues affecting Japan in three sections, to illustrate the larger global labor crisis at work. I am thrilled to announce that MediaStorm has won a 2014 Webby Award in the Documentary: Series category for our work on the 2013 ICP Infinity Awards. I’ve been a bit quite here but there’s been a maelstrom of posts on the MediaStorm blog. A bit of old news, but I'm nonetheless still thrilled to announce that MediaStorm received a 2013 National Edward R. Murrow Award in the category of Website by a National Online News Organization. For more information see the MediaStorm blog. It's been my honor to produce this project on a such an awesome subject. And I count it as one of the greatest moments of my life that Bridges said we did a "cool job." Details: The Project was made in collaboration with the International Center of Photography with support from the Harbers Family Foundation. Jeff Bridges is an Academy Award-winning actor. He is also an accomplished photographer. He’s been taking pictures on the set of his movies for more than 30 years, capturing intimate and surprising behind-the-scenes moments. To watch videos for the other seven honorees please see the MediaStorm blog. I’m pleased to announce the release of 480 Votes produced for CARE in conjunction with Ripple Effect Images. Rick Gershon did most of the heavy lifting on this project. He shot some stunning video in Peru and did most of the post. I added a touch here and there, cleaning up when Rick had to hit the road again. I’ve written a slew of new tutorials for the MediaStorm blog . I couldn’t be more proud of the MediaStorm family. 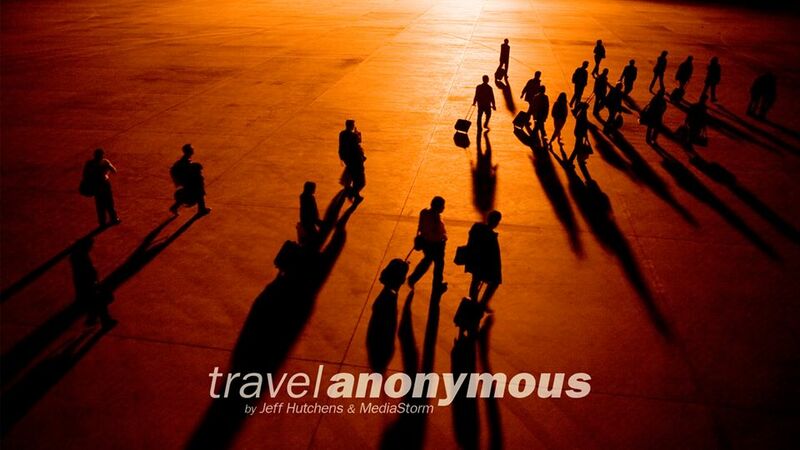 A Shadow Remains by Phillip Toledano won first place at NPPA’s Best of Photojournalism 2013 contest, in the Documentary Multimedia category. The piece was produced by my good friend Tim Mclaughlin. Second prize went to former intern Andrew Hida for his master’s thesis Follow My Steps. I was part of Andrew’s thesis committee so this one makes me especially happy. Check out the MediaStorm blog for more details. MediaStorm won second place in the Picture of the Year International Best Website category. The Los Angeles Times won first place and TIME took third. Pretty good company, I'd say. Congratulations to all the winners. Check out the MediaStorm blog for more information. I've written a number Adobe Premiere Pro tutorials this year. Additional Premiere Pro tutorials can be found on the MediaStorm blog. First a confession. I have a bit of a man crush on Andrew Hida. A bit. He's one of the most talented interns with whom I've had the pleasure of working. I remember a particular screening with him, when we were showing Brian a piece we'd been working on for weeks. Andrew had helped organize thousands of images and hours of video. He'd also edited one of the sections in the project. Brian watched the piece silently, then he said, this section is really great. It was, of course, Andrew's. He didn't cop to the truth so I did for him. So that's Andrew. And Follow My Steps is his thesis. It's everything I like about the guy. It's honest and intimate and funny and just good. One last confession: I sat on his thesis committee along with Bruce Strong and Seth Gitner. It was one of the best decisions I made this year. Watch it. And watch out for Andrew. You'll be seeing a lot of him. Eddie Van Halen once described his guitar playing as falling down a flight of stairs and landing on his feet. This project feels about the same, though I'm still not sure exactly how we landed. The American-Made Benny consists of the feature plus a two-part epilogue: Benny Watches in Split Screen and Benny Responds. Also check out my essay Unanswered Questions: On the Limits of the Single-Subject Interview for a full account of this production's challenges. I Know Where I’m Going follows Mr. Saleh, who was born and raised in southern Yemen, as he networks and visits with the Yemeni government and the leaders of the armed groups that control large swath of territory. It captures Mr. Saleh and the ICRC Aden team as they prepare for the first visit ever to detainees held by a Jihadist group, a significant operational milestone for the organization in the country and globally. Mr. Saleh’s efforts were critical to the protection and assistance operations of ICRC Aden. Working closely with his colleagues, he made significant contributions to the development of a neutral and impartial humanitarian operation in this volatile and dangerous region. Mr. Saleh was born in 1977. He died on June 20, 2012 in his native Abyan Province. He is survived by four young children and a wife who is pregnant. Watch the project on the MediaStorm web site. 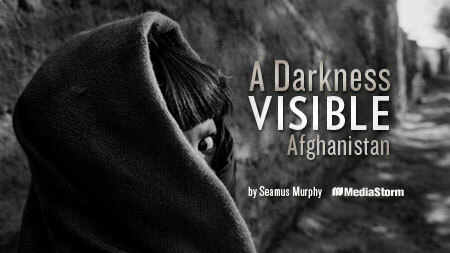 Seamus Murphy's A Darkness Visible: Afghanistan, produced with MediaStorm received first place in the multimedia category of the 2012 FotoWeekDC International Awards Competition. 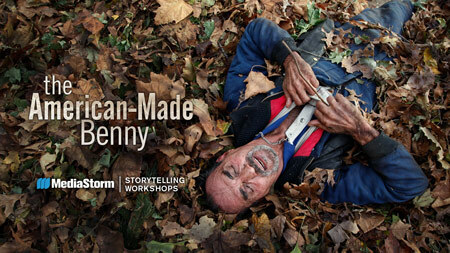 Broken Lines, produced during the December 2011 Storytelling Workshop received second place. Kudos to my colleagues Rob Finch and Tim Mclaughlin for their work on Rite of Passage, produced with photographer Maggie Steber, which received Honorable Mention. Tim McLaughlin and have I updated the MediaStorm Post-production Workflow for Final Cut Pro X. Since we haven't yet produced a project using the software, this is our best guess at how to adapt our current methods and best practices. The updated workflow is bundled with the original FCP 7 workflow and includes access to MediaStorm’s Apple Aperture Workflow and MediaStorm’s Final Cut Asset Parser. Everyone who previously purchased the workflow will receive complimentary access to the FCP X document. Online access to MediaStorm's Post-production Workflow, including MediaStorm’s Apple Aperture Workflow and Final Cut Asset Parser, can be purchased for a one-time fee of $14.95.